Member of Congress Julia Brownley stopped by the offices of the Oxnard Harbor District to discuss transportation issues with port customers. The good news was a $1.5million Economic Development Administration grant for harbor and shoreside improvements that she helped secure. The bad news was that much needed transportation investment is stuck in the Congressional quagmire. 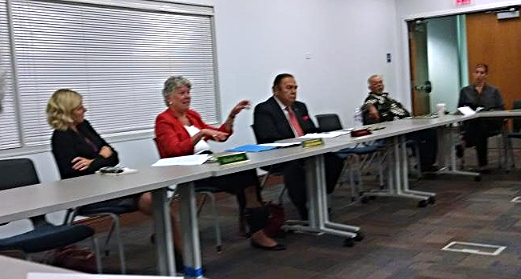 On the local level, Brownley lamented the fact that Ventura is the only county of its size in the State of California that does not have a sales tax dedicated to transportation. So-called “self help” counties are able to use that tax money to match Federal funds for transportation improvements. Without such a tax, Ventura County cannot even apply for Federal grants. 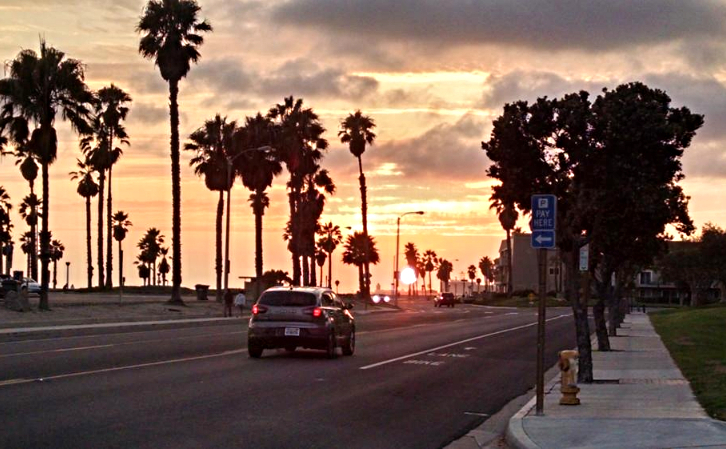 In recent years, Ventura County voters have twice defeated transportation tax measures. 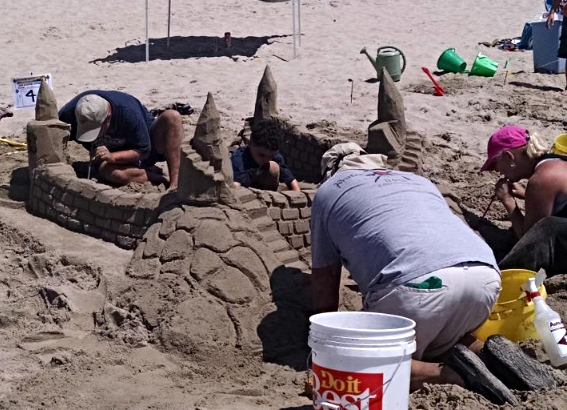 Speaking of seashores, in my humble opinion, there is no better way to learn about Newton’s law of gravity, falling apples aside, than trying to construct a sandcastle at the beach. For five years now, (a hiatus was called during 2013 and 2014 due to the absence of sand), the Toni Young Hueneme Beach Festival has featured a Sand Sculpting Contest—giving out-of-towners something to do in addition to visiting the vendors, grooving to the bands, and touring the lighthouse or the Port of Hueneme. In 2011, Breeze gently twisted committee members’ arms to start planning the contest 12 months in advance. As part of her research, planner Marietta King unearthed photos and documents belonging to Sheryl Malone and Marian Foster, who labored on sand sculpture contests during 1984, 1985. and 1986 in conjunction with Port Hueneme Harbor Days. The genesis for the mid-eighties digs was a group of art, culture, and merriment-minded residents of the Anacapa Condo Owners Association in Port Hueneme. When asked why there was never a 4th Annual Sand Sculpture Contest in 1987, Malone acknowledged that volunteers tend to vanish when the workload proves too great or the payoff proves too small. Even non-profits that endure for decades are at risk—dying off as their members do the same. The last production of Port Hueneme Harbor Days, a class act that ran for 51 years, occurred in 2005. Happily, however, the efforts of Malone and Foster now pave the way for sand sculpture contests to come. We can see further by standing on the shoulders of those who come before us. Yet said shoulders do not have to belong, as Isaac Newton also once insisted, to “giants.” They can be attached to quite ordinary folks—like those who now live in and love the sleepy little beach town that is Port Hueneme. In 1894, striking workers from the Pullman factory attempted to disrupt rail service in the Midwest. Based on the rationale of protecting the US Mail, President Cleveland ordered Federal troops to guard the trains. Before the strike ground to a halt, more than 30 people were killed in the action. In response to the bloodshed, Samuel Gompers and others persuaded Congress to pass legislation setting aside a holiday to honor the workers of America. The President quickly signed it into law. Grover Cleveland was a man who mistrusted concentrated power, be it governmental, capital, or labor. He was elected to his second term after the Benjamin Harrison interregnum just as a brutal recession gripped the country. He resisted calls to devalue the currency and, presaging Keynes, advocated increasing the amount of money in circulation. Although he ostensibly represented the Northeast “Business” wing of the Democratic Party and was decidedly opposed to William J. Bryan and the nascent Progressive movement, some of his views and the problems he faced resonate today. 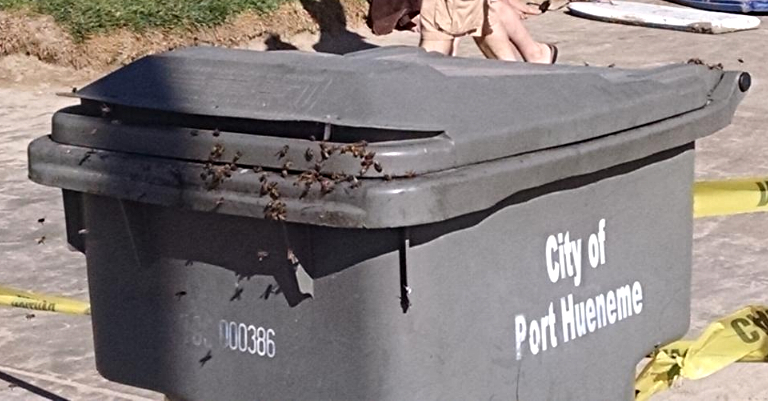 A swarm of bees took over a trash can at Hueneme Beach. Lifeguards secured the area with yellow incident tape. Native-American didn’t always mean American Indian. That definition took hold in the 1970’s*. Back in the 19th century, at least until the Civil War, it meant native-born American, and American meant White, English, Protestant and especially not Irish. Later it called itself the American Party, but it wasn’t around long enough for that name to stick. To this day we know them as Know Nothings. Only the Anti-Masonic Party of a generation earlier (they really hated Freemasons) had an odder appellation for a major American political party. If the Know Nothing movement’s Native American Party had been a secret it was a badly kept one, because for a couple years their party made a meteoric impact. It went from nothing to the most dynamic new force in American politics, and then disappeared in a flash. The Know Nothings’ congressional delegation grew from zero seats in 1852 to 56 seats (out of 233) in the House in 1854. They also landed 5 senators (out of 62) in 1856. The party was especially strong in areas with large Irish populations, particularly Massachusetts. Boston’s political battles were often pitched fights between Know-Nothings and Irish immigrants. There was worse violence elsewhere. On an election day in Louisville in 1855 a Know Nothing mob descended on polling stations in the Irish and German wards. Twenty-two died. In New Orleans vigilante groups occupied polling stations to repress (they called it monitoring) the Democratic immigrant vote and ensure a Know Nothing victory. Things grew even worse on election day in Baltimore where Know Nothings and Democrats fought with fists, guns, and then artillery. (How the sides got hold of cannon I have no idea.) The Know Nothing slate won in a landslide after massive voter fraud. Catholics were targeted as well. In Bath, Maine the Catholic church was burned to the ground by a Know Nothing mob, and in a nearby town Know Nothings tarred and feathered the parish priest. In a time when armed mobs were increasingly part of the national political culture, local Know Nothing leadership had no qualms about unleashing them on the Irish and Germans (but especially the Irish). It was a popular tactic. Party membership skyrocketed from 50K to one million members in a few months over the summer of 1854. As with the explosion in Ku Klux Klan membership in the 1920’s, the sudden nation-wide popularity of George Wallace in 1968 (and until he was shot, in 1972), and Donald Trump now, every once in a while millions of Americans decide that millions of other Americans aren’t American enough to be real Americans. Of course, the Know Nothings certainly benefited in the mid-1850’s from the implosion of the Whig Party. Forgotten now, the Whigs were the dominant American political party for a stretch there. Founded in 1833, four Whig presidents occupied the White House from 1841-1853 (two of their presidents died in office). Then, torn apart by the slavery issue, they suddenly dissolved in 1854, leaving a lot of politicians with no place to go. Many jumped to the Know Nothing party, now that it had adopted the more palatable name of American Party (though everyone still called them Know Nothings). Even one of the more nothing Whig presidents, Millard Fillmore, ran again as a Know Nothing. Oddly enough he was neither a nativist nor a Know Nothing, didn’t support any of the tenets of the Know Nothing platform, wasn’t even at the Know Nothing convention, and no one bothered to tell him he was being nominated. He ran anyway, though, coming in third with nearly 25% of the total votes, the highest percentage any third party candidate has ever received in an American presidential election. Thereafter the party faded as quickly as it arrived. It had only had the one issue, really: immigration. The Know Nothings didn’t like the Irish and they didn’t like Catholics. They didn’t like German Catholics either. In San Francisco they didn’t like Chinese. In Maine, where Know Nothings were very popular, they probably didn’t like the French Canadians. In Texas the local Know Nothings no doubt couldn’t stand Mexicans. If there were any immigrants from anywhere attending a Catholic church, the Know Nothings no doubt hated them. But by the end of the 1850’s more people hated slavery (or, in the South, they hated Abolitionists) than hated Irish or Catholics, and most of the party’s northern members defected to the new Republican Party which wasn’t nativist at all. Southern Know Nothings joined the fleeting Constitutional Union Party (which sought to preserve slavery without secession). The Know Nothings were back down to zero seats in the House by 1860, and none of its five senators remained in the Senate. It was a miserable end. What had happened, of course, was that the Republican Party had filled that vacuum left by the sudden disintegration of the Whig Party. The impending crisis over slavery (especially free state outrage over the appalling Dred Scott decision in 1857) and the inevitability of the American Civil War had pushed nativism to the background again. The Know Nothing’s obsession over Catholics and immigrants seemed ridiculous in comparison. Slavery was overwhelmingly the pre-eminent issue of the day, indeed it split the Know Nothings themselves (as it had the Whigs) and once war broke out everyone was called to the colors, native born or not. 150,000 Irishmen served in the Union Army (along with several Irish born generals), and indeed the Irish Brigade in the Army of the Potomac was one of the war’s most renowned units, always in the thick of combat, taking tremendous losses. You can’t tell an Irishman who’d lost and arm or a leg defending the Union that he should go back to Ireland. You couldn’t tell a German Catholic veteran to go back home either. Civil rights are often earned in combat, and the Civil War squelched nativism in the North for years. Later in the 19th century and into the 1920’s Republicans attracted the nativists (though the Democrats held onto them in the South where Republicans reached out to black voters). Irishmen again became targets. Once southern Democrats turned Republican after 1980 the modern nativists are pretty much Republican (and Republican-voting independents) again, though we’ll see what Trump does this year. He’s the wild card. 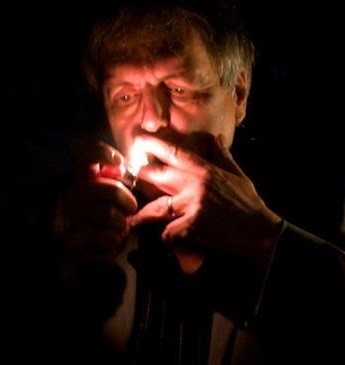 He could go independent and revive what had begun as the Know-Nothing party over a century and a half ago. He’s certainly riding that wave high. You could slip lines from a Know Nothing speech from 1854 into Trump’s teleprompter and you probably would never tell the difference, as long as you changed “Irishmen” to “Mexicans”. He probably couldn’t tell the difference, either. It seems this Nativist (as they used to call it) streak explodes on the scene periodically and then disappears just as quickly. You could go back through American history and list the various movements and trends and politicians who took advantage of the opportunity presented by angry people, from the Alien and Sedition Acts in 1798 (which targeted French and Irish) to Donald Trump targeting Hispanics today. That anger really roils the waters for a while, though. We’re seeing them boil now. If history is any guide, it’ll pass. It’s not just the wastewater that smells in investigation of privately owned treatment plant. Watching for toxic contaminants headed our way. Steinway serial number 600,000, a special “Fibonacci Edition”, would look good in your living room. Remember what it felt like when you had to own a home in order to own an electric vehicle? Not great. We’re changing that through our Take Charge program. Right now, charging station installation is free for qualified apartment and workplace properties. And now that people know they can get car charging installed for free at apartments and workplaces across the state, nearly 2,000 properties have already taken part, from San Francisco to San Diego. But we need your help to go from 2,000 to 20,000. The more people that request electric vehicle charging, the more charging stations there will be, making it easier for you to charge up and hit the road. Forward this email to your friends and tell them to visit www.takechargeca.com. If their property is eligible, we’ll wire their property to support EV charging at no cost. Spread the EV love on social media: Next time you charge up, snap a photo, tell the world how much you love your EV and add #TakeChargeCA. The Take Charge offer is only available for a limited time. Tell your friends to take charge of their future today.